Even if you're the most spontaneous traveler, it's still good to study up on a few things about Vikersund before you go. Highlight it on the map, explore its activities and attractions and let the fun begin! It is 17 miles (27 kilometers) from Drammen and 25 miles (40 kilometers) away from Kongsberg. 2,000 friendly locals reside in this corner of Buskerud. Booking a hotel and airfare bundle via Travelocity is the easiest way to save heaps on your Vikersund adventure. And also, you can pick from more than 400 airlines and 665,000 accommodations. Our Customer 1st Guarantee provides 24/7 personal assistance on everything from airfares and accommodations to car rentals and experiences. If you encounter a better deal on another website, we'll refund the difference^. Alterations to accommodation and airfare bookings won't incur an extra charge from us. And so long as you get in fast, many accommodations don't charge extra fees either^. You should act quickly if you're eager to stay as close as possible to Vikersund. The Tyrifjord Hotell is the only listed property in the vicinity of of the center. Where do you fly into for Vikersund? Seats in the upright position, stow your tray tables and get ready to say hello to Vikersund! Once the wheels hit the tarmac at Gardermoen Airport (OSL), the happening main streets will be only 40 miles (64 kilometers) southwest from here. Can I rent a car in Vikersund? While the usual tourist areas in Vikersund are fun to see, why not take it a step further and discover some completely new sights with a rental car via Travelocity? You don't need to know your Rubens from your Degas to wander the corridors of Blaafarvevaerket Art Exhibition. It hosts a diverse collection of works that'll engage your interest and see your imagination run wild. Want more ideas? Whether you're a master on the snow or a complete rookie, it's time to dig out your snowboard and zip down the slopes. Vikersundbakken Ski Flying Hill promises hours of fun for everyone! And there's more. Whether you like the exercise or just the joy of splashing about, there's nothing as energizing as hopping in the pool. Wriggle into your bathing suit and dive into Furumo Svommehall. Go to Vikersund for its unmistakeable culture and feel. That said, there are also world-famous tourist attractions right on your doorstep! Royal Palace lures tourists from every nation. Oslo, only 25 miles (40 kilometers) from Vikersund, is a convenient base when stopping by this world-famous attraction. 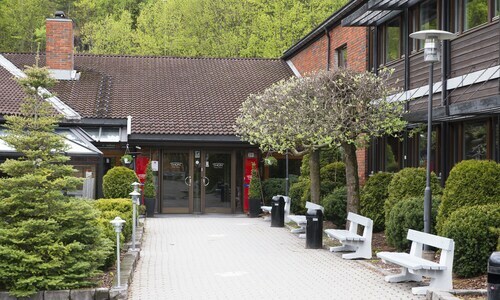 Nestled on the beach, this Vikersund hotel is within 3 mi (5 km) of Heggen Church and Vikersundbakken Ski Flying Hill. Furumo Svommehall and Blaafarvevaerket Art Exhibition are also within 9 mi (15 km). Modum Vikersund Station is 28 minutes by foot. 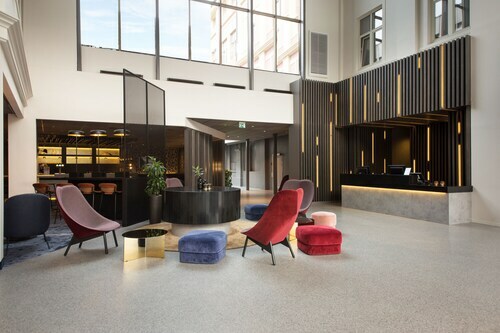 Located in the heart of Drammen, this hotel is within a 10-minute walk of Drammens Museum, Papirbredden, and Union Scene. Drammen Water Park and Marienlyst Stadium are also within 10 minutes. Drammen Station is only a 2-minute walk and Drammen Brakeroya Station is 27 minutes. 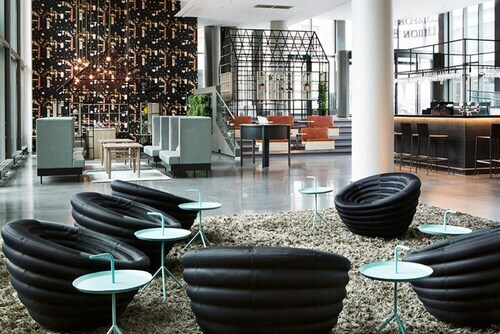 Located in the heart of Baerum, this hotel is within 1 mi (2 km) of Sandvika Center and Kalvoya Island. 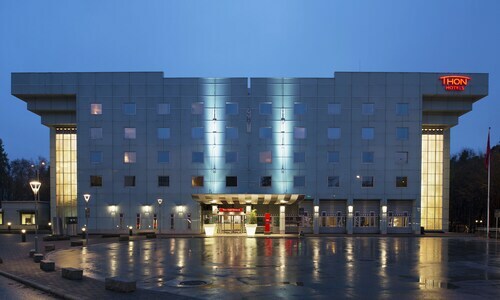 Jardarkollen and Henie Onstad Art Centre are also within 3 mi (5 km). Baerum Sandvika Station is 13 minutes by foot and Slependen Station is 22 minutes. 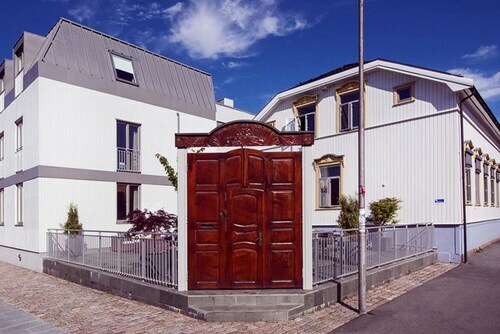 Located in the heart of Drammen, this hotel is steps from Union Scene and Papirbredden. Stromsgodset Church and Drammens Theatre are also within 10 minutes. Drammen Station is 11 minutes by foot and Drammen Gulskogen Station is 25 minutes. 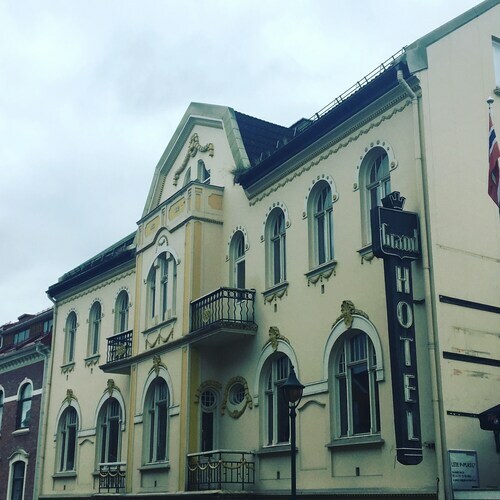 Located in the heart of Drammen, this hotel is steps from Stromso Church and Port of Drammen. Marienlyst Stadium and Drammens Museum are also within 15 minutes. Drammen Station is 6 minutes by foot and Drammen Brakeroya Station is 24 minutes. Located in the heart of Honefoss, this hotel is 8.7 mi (14.1 km) from Hadeland Glassworks and within 32 mi (52 km) of Norefjell and Telenor Arena. Gran Park and Kalvoya Island are also within 32 mi (52 km). Ringerike Hoenefoss Station is only a 4-minute walk. Located in the heart of Asker, this hotel is 2 mi (3.3 km) from Whale Beach and within 6 mi (10 km) of Kalvoya Island and Sandvika Center. Kon Tiki Museum is 13.5 mi (21.7 km) away. Asker Station is 5 minutes by foot and Asker Hon Station is 22 minutes. Situated by the ocean, this hotel is 1.5 mi (2.5 km) from Whale Beach and within 12 mi (20 km) of Sandvika Center and Telenor Arena. Viking Ship Museum and Port of Drammen are also within 16 mi (25 km).